Herculaneum: The forgotten city. Covered by the fallout from Mount Vesuvius in 79CE, it is a virtual treasure trove of information. Amongst its many features are six story buildings nearly two millennium old and still standing, fifty-meter long sections of sewer wholly preserved, loaves of bread petrified by pyroclastic flow, skeletons, tile mosaics artwork, history and culture. Herculaneum has always lived in the shadows of Pompeii. Until now. 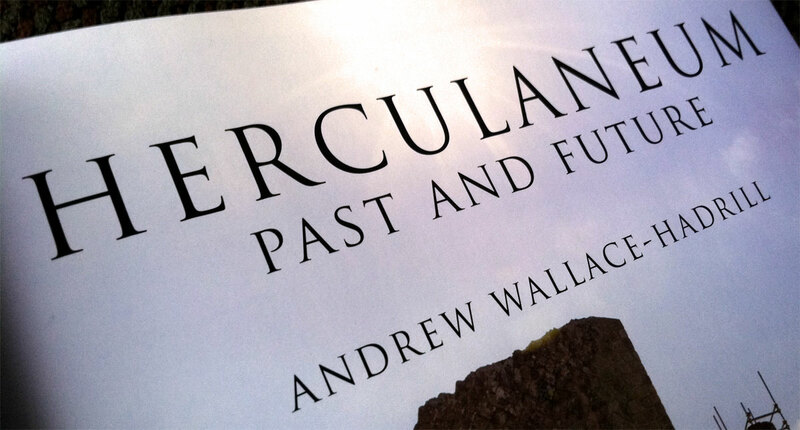 I’ve just finished pouring over Dr. Andrew Wallace-Hadrill’s most recent publication Herculaneum: Past and Future (Francis Lincoln Limited). The hardcover volume rings in at 352 pages and is brimming with information. From the first page, you can tell that this publication is a labor of love. Those with the slightest familiarity of Roman archaeology know Dr. Andrew Wallace-Hadrill. For the past 30 years, he has worked tirelessly to make known the particulars of Roman life. From 1991 to 1995 he edited the Journal of Roman Studies, the leading journal of Roman history and culture. His noted works include Houses and Society in Pompeii and Herculaneum (1994) one of my core University textbooks, Suetonius (1995), and Rome’s Cultural Revolution (2008). He is one of the leading experts in Roman social and cultural history and is currently serving as Master at Sidney Sussex College at the University of Cambridge. 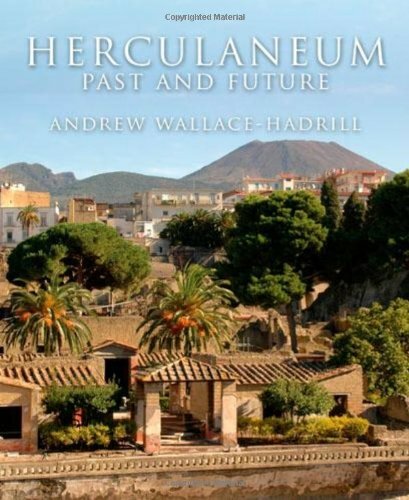 In this latest publication, Dr. Wallace-Hadrill writes from his own perspective, explaining the most meticulous details about life in Herculaneum in a way that any reader can grasp. Hadrill breaks down the remnants of the city section by section, highlighting the physical remains of a massive archaeological site and the interpretations that can be derived from it. The book contains some absolutely stunning content. Panoramic foldout pictures give the reader a sense of scale. Computer illustrations recreate the crumbling facades of ruined buildings. A map of the entire Herculaneum site makes referencing locations a breeze. The book does a brilliant job of presenting scientific information without forcing the reader in to a sea of boring statistics and sordid terminology. Wallace-Hadrill’s writing style, as always, is down to earth while maintaining its clarity, coherence and scientific aptitude. Herculaneum: Past and Future compares to only a small handful of others I’ve encountered over the years. 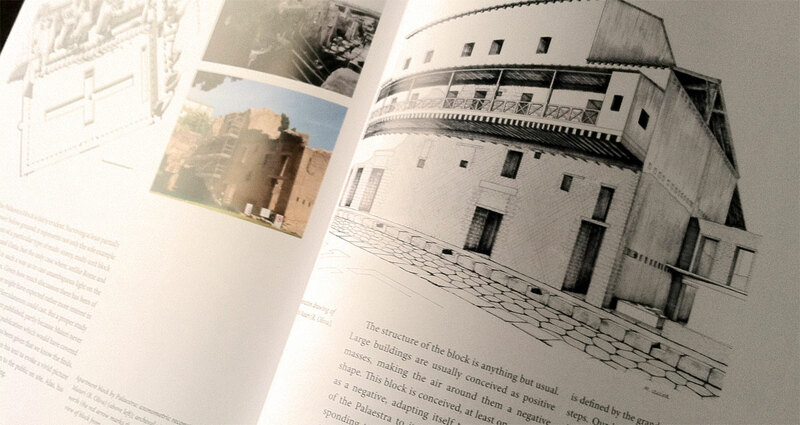 Herculaneum is more than a college text book. It is miles above a coffee table digest. It’s research. It’s data. It’s a guide book. Both students and enthusiasts of Roman archaeology, history, and culture will find this book a fascinating and essential volume. Dr. Wallace-Hadrill’s volume hits the mark. It is an outstanding accomplishment and a beautiful summary of the work of a number of dedicated researchers over the course many, many years. I applaud the author for his thoroughness and his ability to turn scientific data and years of research into an enjoyable and beautifully crafted read. There is no doubt in my mind that this book will be the go-to text on Herculaneum, its society and culture, for a number of years. Now available from Amazon.com and Powells.